Monkeyland Primate Sanctuary The world’s first free-roaming multi-species primate sanctuary. It offers tours (monkey safaris) where guests can view the 700+ resident primates in their forest home, there is also a restaurant, souvenir store and viewing deck, and a 128-metre suspended canopy walk. Monkeyland’s safari guides are multi-lingual, languages spoken include German, French and Spanish. Jukani Wildlife Sanctuary is home to mainly Apex Predators. We have 74 Animals in total consisting of 17 different species. You will take a walk through the sanctuary with one of our very knowledgeable guides and stop at each enclosure where you will learn the most fascinating facts about these creatures, there is ample opportunity to take pictures and the whole 1hour and 20-minute excursion has a safari like feel to it. There is a coffee shop near the entrance to the sanctuary and a lovely curio shop in the reception area. It is located 15km outside of Plettenberg Bay on the N2 towards Port Elizabeth and 8km before you reach the turn off to Monkeyland and Birds of Eden. Monkeyland KZN (in the process of being developed in the Ballito region on KZN). 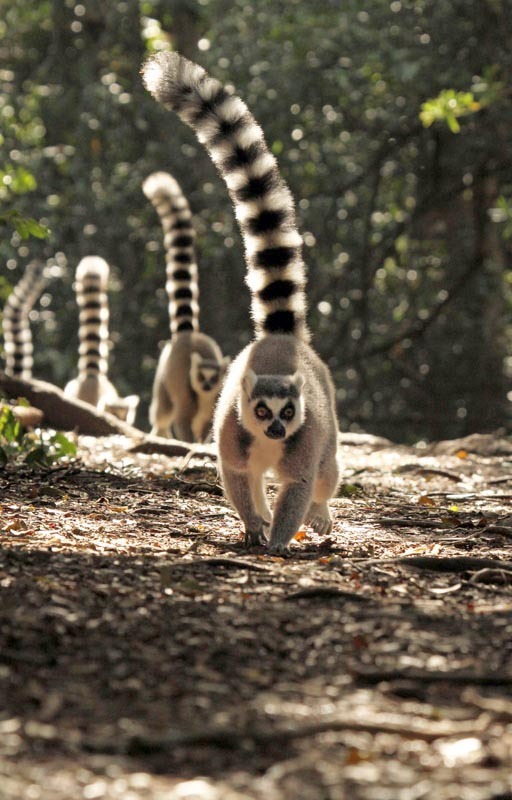 Monkeyland KZN will be home to capuchin monkeys, squirrel monkeys, gibbons, ringtail lemurs and black-and-white ruffed lemurs. We are hoping to be open to the public December 2017 but might not be ready yet. The sanctuary will however be open by Easter 2018. Please note that we have a strict no-touch policy at all our sanctuaries.